Juan Carlos was hot, and tired, and hungry, from working in his garden all morning. So he walked to the village to buy a tortilla from the old woman in the plaza. But the old woman had sold all her tortillas for the day and only had a small ball of dough left. She gave it to Juan Carlos with instructions of how to pat it until it was light and airy and then pat it three more times. 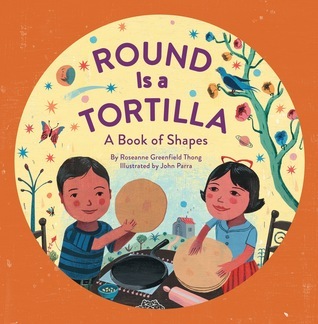 Juan Carlos took the dough and patted it until he couldn’t pat any more and then patted it three more times and the dough became a huge tortilla sombrero that rested over him shading him from the sun. The second time, it became a boat that floated him away on the water. And the third time, it became a feather which carried him in the air. 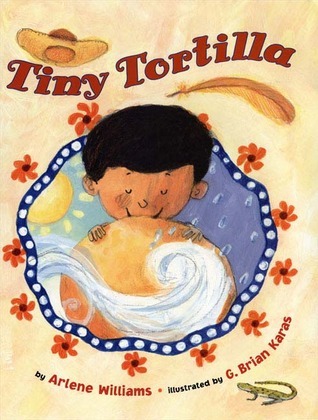 Finally, he patted it just right and it became a huge tortilla as warm as the sun, as fresh as the water, and as light and airy as the wind. 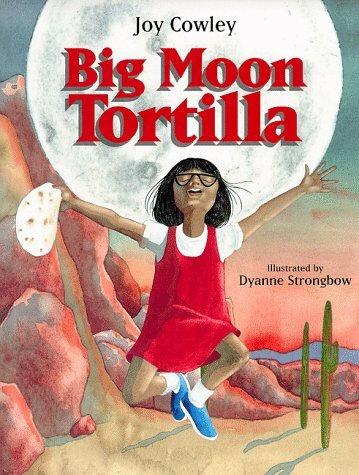 Marta had finished her homework and smelled the wonderful tortillas her grandmother was making for the church supper. But as she ran to see Grandmother, she tripped on the table sending her sheets of homework floating out the window on a breeze. The dogs chased her homework ruining it, and then she tripped again and broke her glasses. Grandmother taught her an old healing saying about how to act if you have a problem. You could act like a tree, or a rock, or a mountain lion, or an eagle, depending on the problem. Marta decided it was best in this case to act like an eagle and soar high in the sky looking down at the small problem and laughing.